You're a racecar driver, and behind the wheel you need to be alert, cool and comfortable. When you're wearing a Vanson Racecar Suit you're benefiting from our over 40 years of motorcycle road-race suit development. We've engineered and constructed our suits for extreme functionality. With our unique triangular pivot armholes you gain freedom of movement; with our twin-zip-front design you eliminate bulk while seated and lose the risk of sharp zipper teeth injuring your neck. We use CarbonX® material which easily meets all current safety standards while being breathable and comfortable. You can shift easily through the gears and corners - no pulling, no fighting the suit - just simple, fluid, smooth movements. Many suits out there look the part of a racecar driver, but the Vanson is for real. It'll fit you like a second skin, letting you mold into the seat…become one with the car…comfort creating concentration…which equals a focus on winning. While competitors work to ensure their products meet industry standards, our goal is to exceed those standards and go above the norm in providing a persistent thermal barrier with minimal heat conductivity. 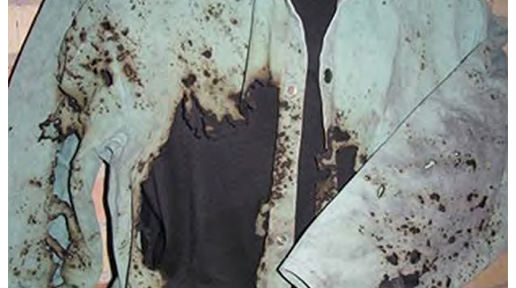 CarbonX products offer protection far beyond the industry's "No Melt, No Drip" requirements, which typically only require that protective fabrics not contribute to burns in a thermal exposure as opposed to actually protecting the wearer from a thermal event. 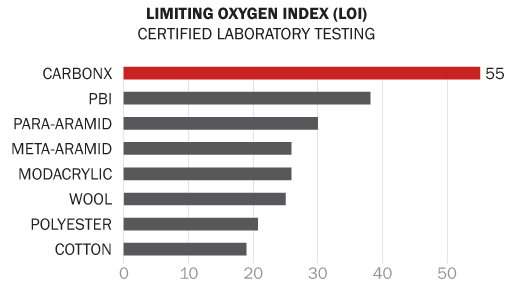 The Limiting Oxygen Index measures the amount of oxygen required in the environment for a fabric to support combustion. Any material with a LOI less than 20.95 (the oxygen volume of air) will burn in air. The CarbonX blend of fibers has a LOI rating of 55, indicating it requires an oxygen level of nearly three times that of air to burn. When exposed to intense heat or flame, our patented fiber blend carbonizes and then expands, eliminating any oxygen content within the fabric. 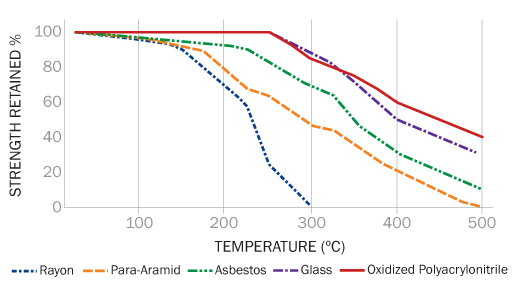 A compelling demonstration of CarbonX's extraordinary performance is its strength retention after exposure to flame and increasing temperatures over time. After intense exposure to 250°C heat, the CarbonX fiber blend possesses 100 percent of its original strength. Turning up the heat to 500°C, our innovative fiber blend retains an astonishing 40 percent of its strength, even after 10 minutes of exposure. “My husband was at work in a steel mill, on a bobcat pushing hot slag. Hot met cold and molten slag exploded all over his body. The steel melted the safety belt on the bobcat so he couldn’t free himself. He was wearing the normal steel mill greens, but he had also worn his CarbonX underwear that night due to the cold evening. The greens he was wearing burnt off of him almost completely. The CarbonX hood and underwear he had on saved his life." CarbonX has the advantage of being owned by TexTech Industries Inc., a leading global developer and manufacturer of engineered, high-performance materials. TexTech’s global distribution platform and in-house engineering, testing, and manufacturing capabilities enable the development and introduction of new CarbonX products to the market much more quickly. Copyright © 2016 CarbonX and TTI.